Dr. Jahan Fahimi will discuss firearm violence prevention from his perspective as an Emergency Room physician. In his talk, Dr. Fahimi will review the history of firearm violence in the US and provide a conceptual framework for addressing the firearm violence epidemic. Jahan Fahimi received his MD from the NYU School of Medicine, and a Master in Public Health from the Harvard School of Public Health. After his residency in Emergency Medicine at Highland Hospital in Oakland, CA, he received a research fellowship focused on healthcare utilization and social determinants of health in emergency care. 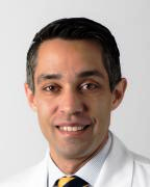 Dr. Fahimi joined the faculty of UCSF in 2011 and began working on understanding the long-term outcomes in patients who survive firearm injuries. Dr. Fahimi is currently working on the development of educational competencies for healthcare professionals to address firearm violence at the bedside. Dr. Fahimi is an Associate Professor of Clinical Emergency Medicine, a member of the Affiliate Faculty at the Philip R. Lee Institute for Health Policy Studies, and Medical Director of Value Improvement for UCSF Health.